Good evening everyone! I hope you’re all having a great week so far! 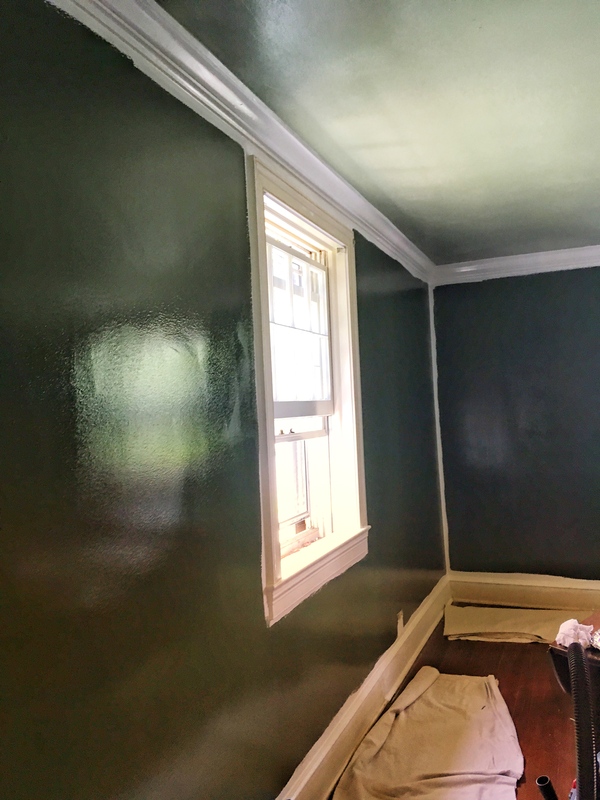 Without further ado, here is what the walls look like now that they are a beautiful shade of Benjamin Moore’s Colonial Verdigris! I will say– it is dark, very dark, but EXACTLY how I hoped it would be! I would choose it over and over again. I even told David I kind of wanted to paint all the bedrooms upstairs this color too. I love the depth and classic old-Virginia-farmhouse-feeling it brings to the house… truly it reminds me of when older women dye their hair for a long time and then finally embrace and allow the gray hair to grow, and they gain such a beautiful look of timelessness because of it. So: green walls are two thumbs up! But– the story of course continues, as it always does in this house. It ain’t over til it’s over, and the walls being dark green does not mean it’s over. After the walls were painted we decided to pull up the sisal rug that’s been on the dining room floor since we moved in. Bizarrely, even though both dogs are house broken, they have both had accidents on this rug and we don’t know why. 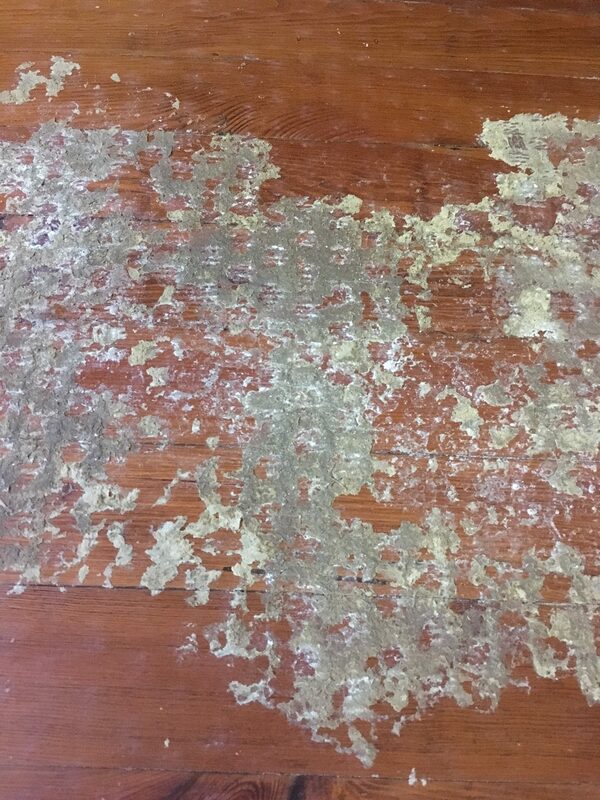 We were out of town the last time it happened and the house sitter dumped baking soda all over the dog urine and well… there is really no way to get baking soda completely out of a sisal rug. 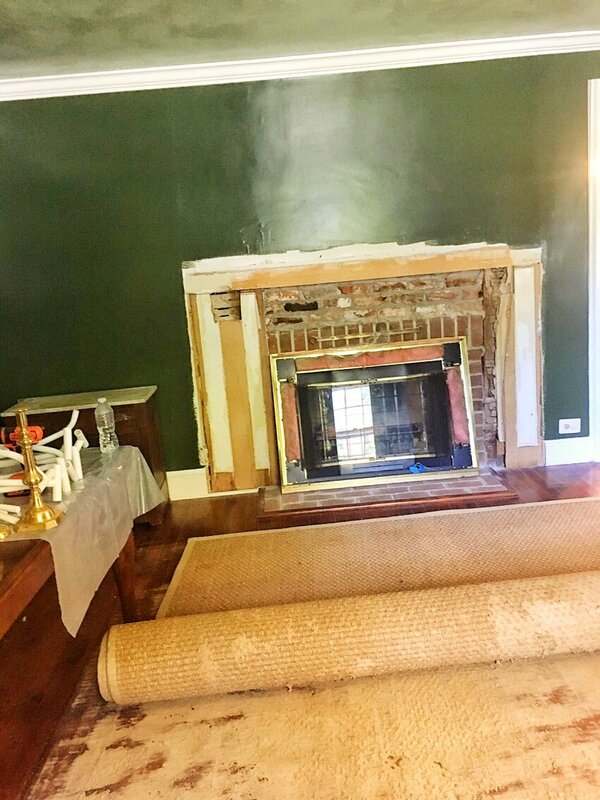 Since we’ve more or less been using the dining room for storage, we didn’t really care about the gross rug, but once we decided to paint the walls and make the room use-able we decided it was time to replace the rug. I used our handy dandy shop-vac (can I just say that every home needs a shop-vac? That darn thing has been so useful over the years!) 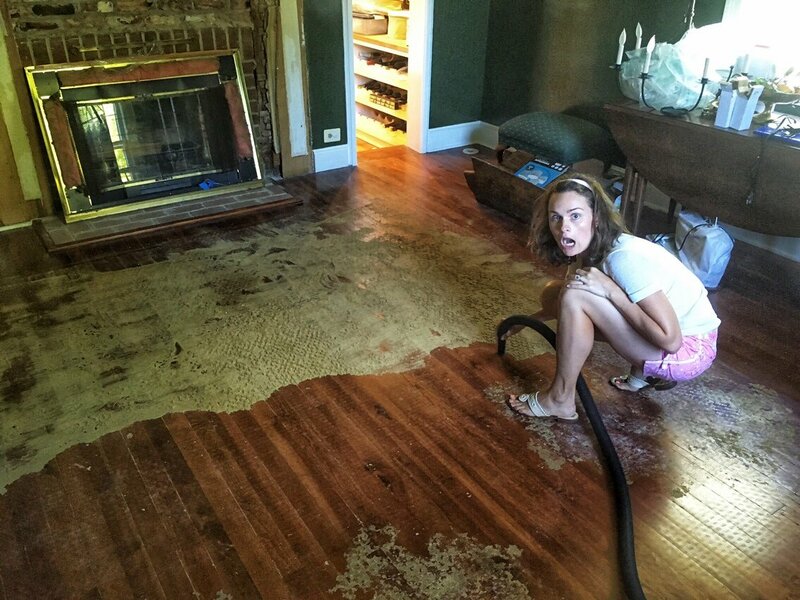 to carefully get the dirt off and luckily a lot of the rug fibers that had come unattached from the rug were loose and came up with the shop-vac suction. 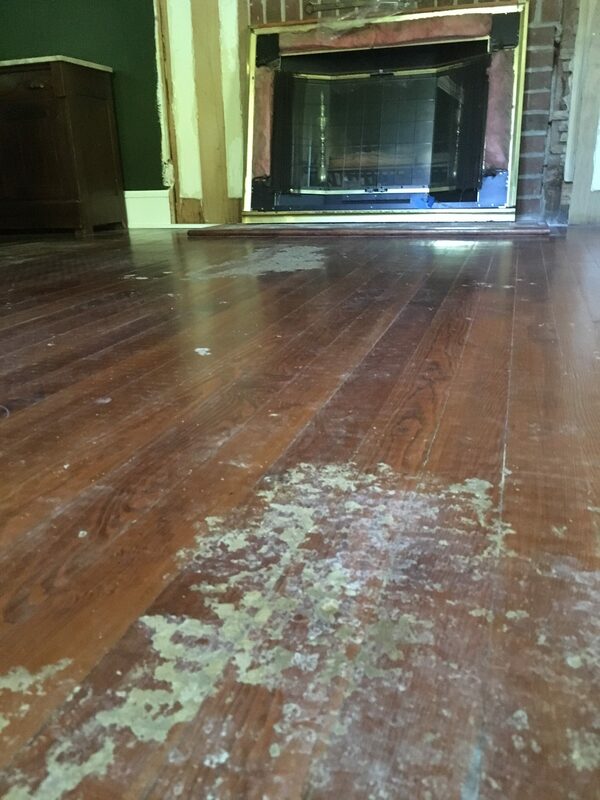 Seriously attractive flooring, right? I was super tempted to just put a new rug down on top of it and pretend we hadn’t noticed it was there. Don’t worry– that’s not what we did. 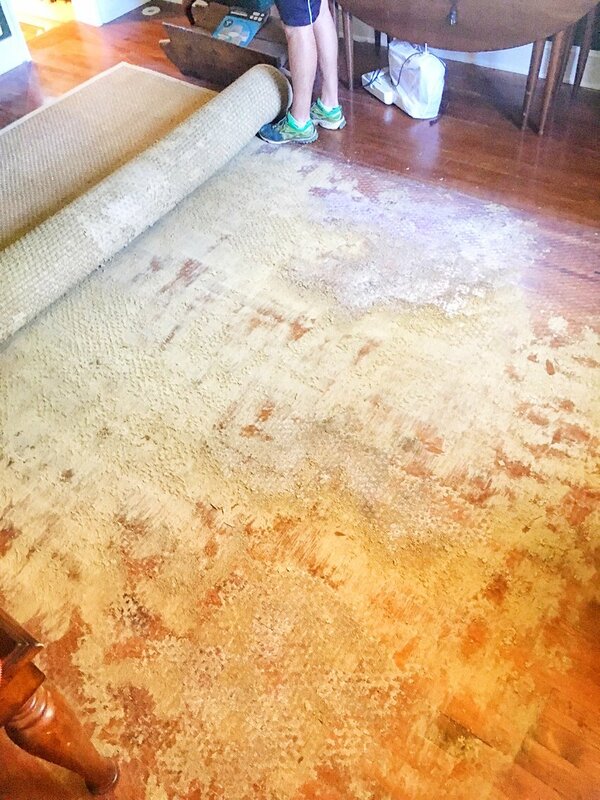 Next blog post I will share what to do when your rug disintegrates onto your hardwood floors… super fun!!! 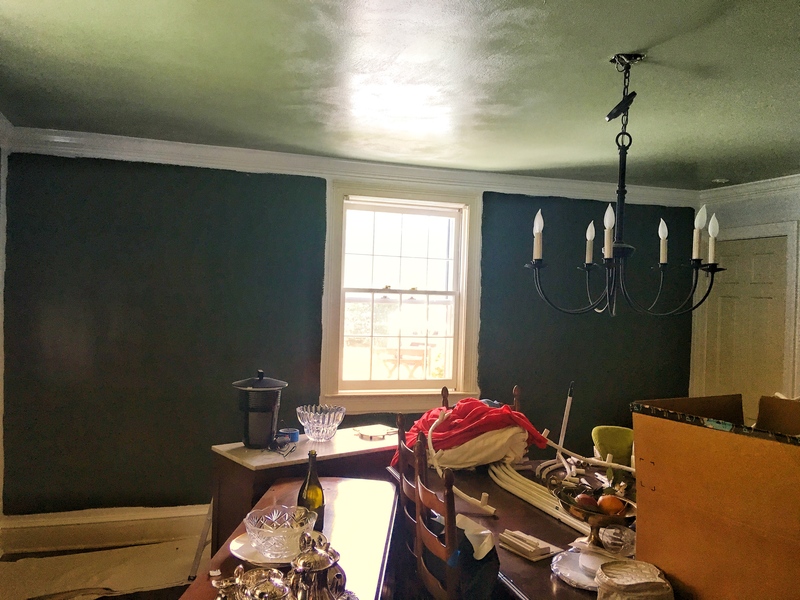 Love the dark green walls !!!! And lighter shade of ceiling too.